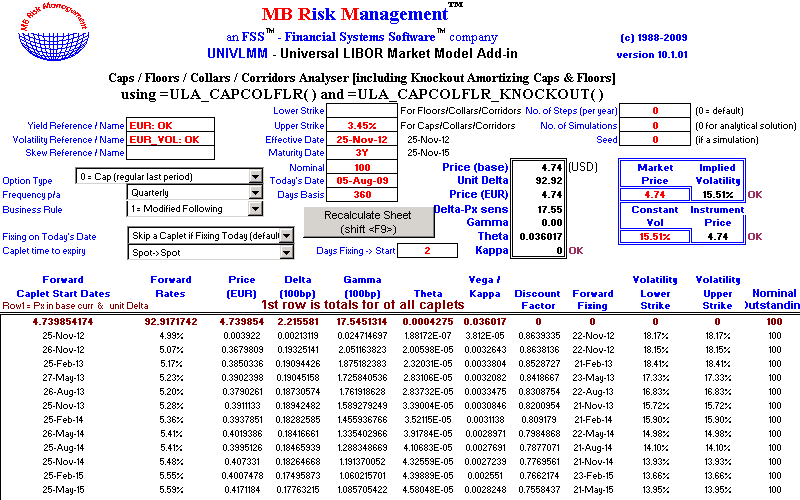 UNIVLMM implements the cutting edge multi-factor LIBOR Market Model and "Brace-Gatarek-Musiela" (BGM) model to price and risk manage interest rate derivatives, including multicallable amortizing and accreting Swaptions; Delivery Options in "Cheapest To Deliver" (CTD) Bond Futures; Exotic Interest Rate derivatives such as AutoFlex Caps; Knock-out caps; Reset Caps; Trigger knock-out/knock-in Swaps/inverse floaters; Spread Options; Captions; Options on swaptions; Callable Power Reverse Dual Currency (PRDC) swaps and notes; Callable range accrual dual currency quanto notes; Bermudan Callable CMS spread bonds; Callable Capped FRNs; Target Redemption Notes (TARNs) and FX Target Redemption Notes (FX- TARNs), including Reverse Floating TARNs; Crescentos / Snowballs / Ladders / Lift notes; ladder inverse floaters; Ratchets and Bermudan callable fixed to floater (flip flop), including step-up fixed rates. 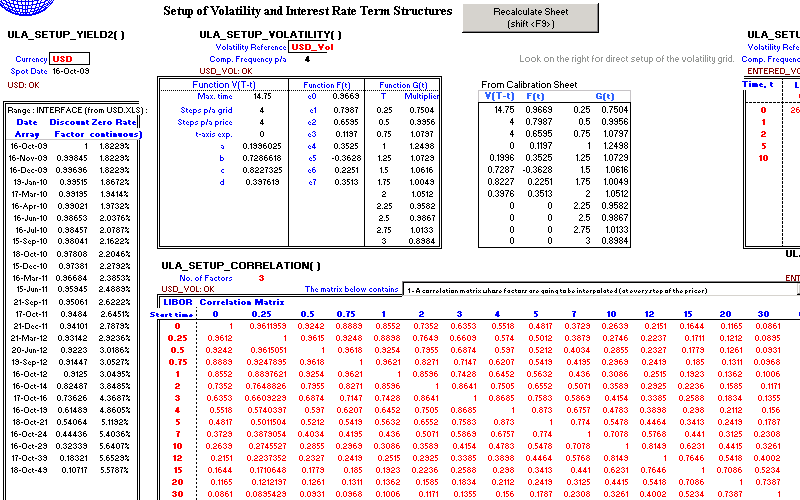 UNIVLMM allows you to calibrate the LIBOR Market Model's multi-factor interest rate volatility term structure based on individual CAPLET volatilities and/or market quotes for traded instruments (e.g. 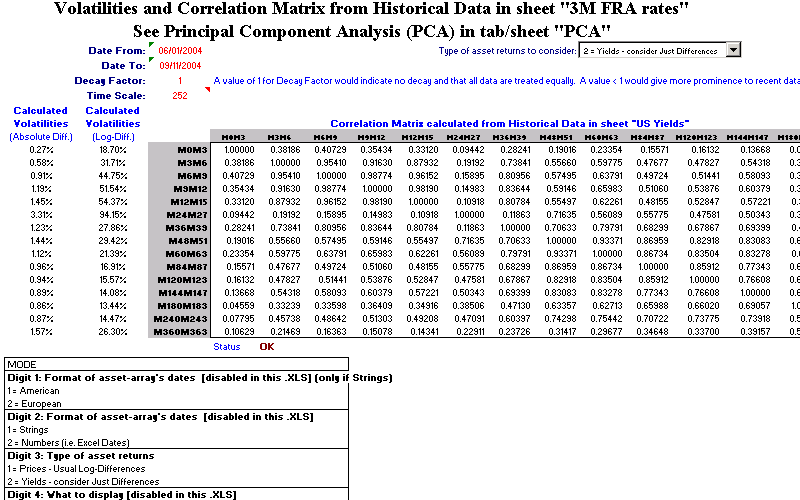 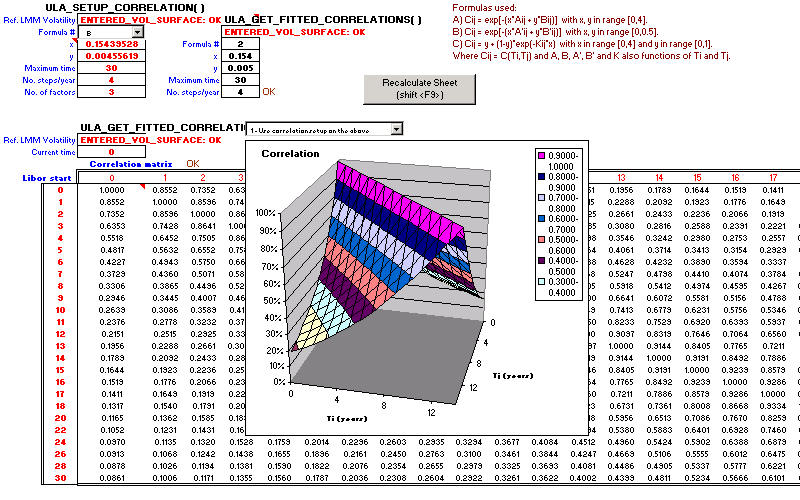 swaptions, caps and floors), including fitting expected correlations between different parts of the curve. 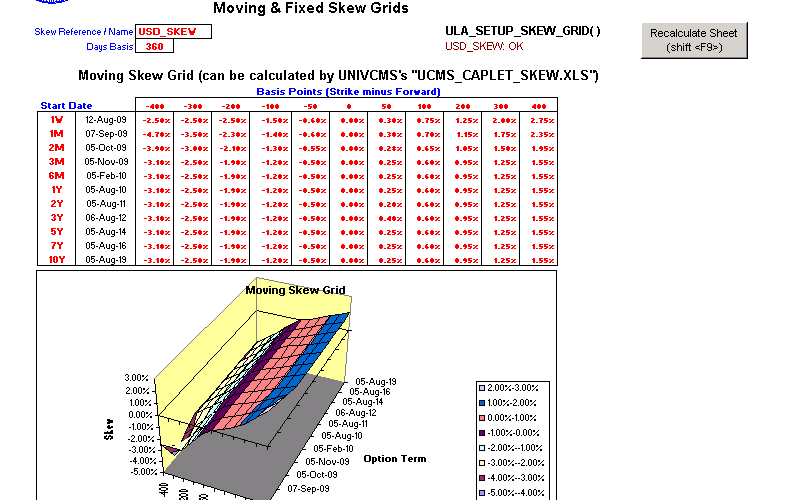 Calibration and pricing are very fast. 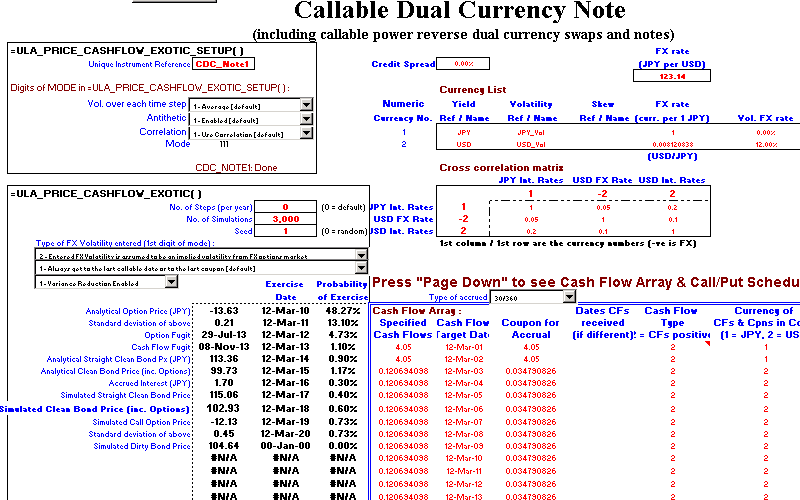 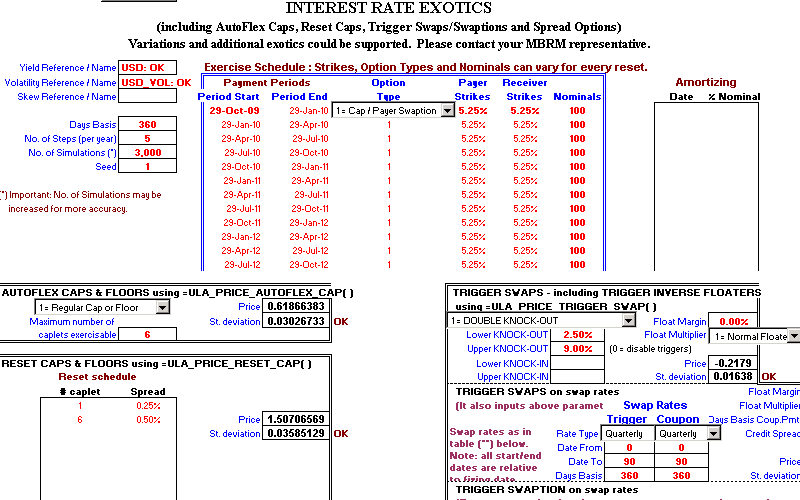 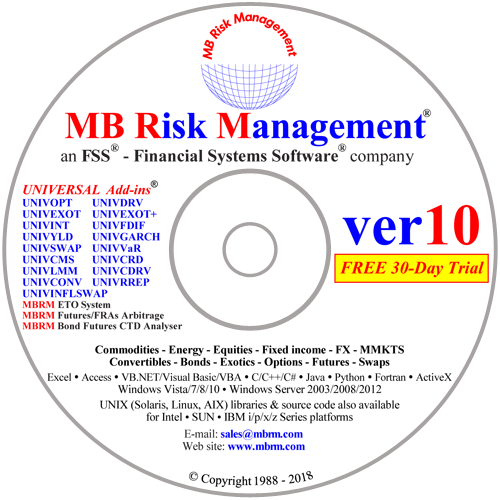 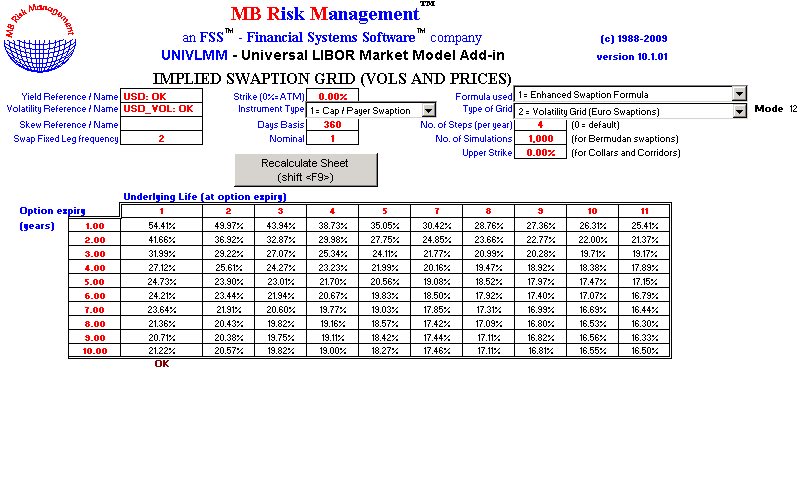 The UNIVLMM - Universal LIBOR Market Model Add-in requires UNIVSWAP - Universal Swap Add-in.